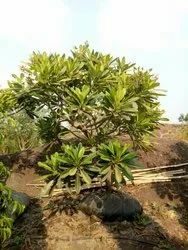 We are a leading Exporter of plumeria plant, chafa and dwarf plumeria plant from Pune, India. Plumeria flowers are most fragrant at night in order to lure sphinx moths to pollinate them. The flowers yield no nectar, however, and simply trick their pollinators. The moths inadvertently pollinate them by transferring pollen from flower to flower in their fruitless search for nectar. Plumeria species may be propagated easily by cutting leafless stem tips in spring. 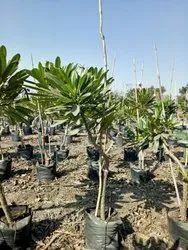 Cuttings are allowed to dry at the base before planting in well-drained soil. Cuttings are particularly susceptible to rot in moist soil. Plumeria ( chafa ) flowers are most fragrant at night in order to lure sphinx moths to pollinate them. The flowers yield no nectar, however, and simply trick their pollinators. The moths inadvertently pollinate them by transferring pollen from flower to flower in their fruitless search for nectar. Color Red ,Pink , white ,etc more than coloure. Plumeria obtusa 'Dwarf Singapore Pink'- Flowers are a delicate pale pink suffused with pink borders and yellow center. Flower buds are also pink. A true dwarf with dark green glossy leaves on a many branched plant. Ideal for small spaces. Only dwarf with color. In limited supply. If one could have only one plumeria, this should be the one. Grows only 6 inches per year maturing at 6 feet tall. Does not lose its leaves in winter and can be flowered indoors. Nice frangipani fragrance. 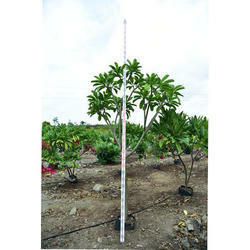 Looking for Plumeria Plants ?